Hello, After a 2 year search for a WHNP position I finally have an interview in the next following weeks. I struggled to find anyone willing to hire someone without NP experience, plus I moved right after graduation so I lost my entire network- this combination of things has made it really hard to find opportunities. I'm in Washington DC, btw. Ok, on to my question: what can I expect the interview to be like? What are common questions? Is there always a 'working interview'? If so, what cases do they usually have a new candidate see? Will the hiring person want to see my perform certain skills like pap smears? breast exams? Diagnose STIs? What have your experiences been like? ...and most importantly: ANY ADVICE????? You're so right. I'm definitely conservative and not very aggressive in that regards. But I have changed my ways bc no one will do me any favors! Phone interview tomorrow! Wish me luck! Hello, I have recently moved to the DC area and I'm looking for a position in a Mother/Baby Unit. I was recently offered $35/hour. I was making that in Florida and was always told that "up north" they paid much better, but clearly this has not been so. I am a new Women's Health Nurse practitioner (Masters) I have 8 years of nursing experience (7 of which in Maternity) Certified in Low Risk Neonatal Nursing NICU experience Fluent Spanish speaker It seems the only focus was my years of experience and nothing else. When I brought this up with HR I hit a brick wall. She spoke to higher ups and made my case. (I wanted $37/hr), but they did not budge and only offered my a sign on bonus of $5,000 for a one year commitment OR suggested I give up PTO and Extended Leave benefits so my hourly could come up to $39/hr. I don't want to make a year commitment because frankly I am weary of a hospital that goes by years of experience only- never mind higher education, certifications or ICU experience. And there is no other way of increasing pay other than by annual evaluations (0.5-2%)- no ladders, no way of getting more for getting another certification, for participating in committees, etc. I'm a little bitter and definitely let down. The cost of living is crazy up here! Is this typical? Am I being naive? Please share your experiences so I may get a more realistic view of what to expect! Thank you! 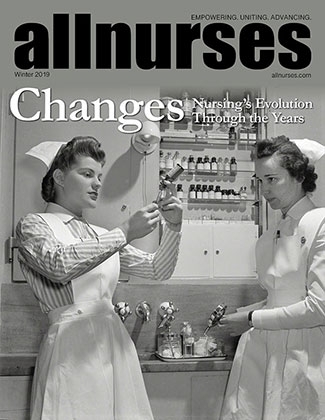 The previous organization i worked for piy in place a new payscale precisley to ensure that nurses withe advanced degrees and certifications stayed at the bedside- hence the appreciation for and compensation for those things. Hopefully I will find another organization that will pay what I am worth. For now I will work for much less. Thanks for your response! The offer was for a floor nurse in a mother/baby unit. I accepted it, but I am most certainly still looking. I'm still wrapping my head around making $5 less than I would in Miami. Thanks so much for your response! It's so dissapointing because I could be making $40/hour in South Florida where ALL my accomplishments are recognized. They go by a point system where you get certain points for education, certifications, ICU experience, etc. A qualified RN could make 80,000. Essentially all I have to do is wait, get years of experience under my belt and do nothing else to get the same pay someone else with outstanding qualifications would be offered. Makes me wish i just disnt work that hard. Rant over. Sigh. Onward. Future WHNP student in Miami Fl. Looking for WHNPs that can shed some light on the market here. I see very few job postings and I'm concerned that I will have to move in order to practice what I love. I seem to have no luck locating WHNPs here. Help! I just need info: what's a typical day like? What can I do to spice up my resume? Thanks in advance! Thank you so much for your idea. I will do just that! Hello! I've posted this same question in other threads and NEVER get an answer. PLEASE help if u can :(I am wondering what the market is for whnp is florida. I've only seen about 4 job postings in the entire state. Women's health is ALL I wanna do. I believe the FNP option is outta the question for me as I do not enjoy any other area in nursing. I know this bc I've experienced it. If it becomes impossible to get a job in women's health my plan is to work as staff rn in Mother/baby unit and teach at a university until I find a women's health position. Is this a feasible pan? What are you opinions and thoughts?Would LOVE to hear from whnp in florida! Hello! I'm applying for the WHCNP program at frontier starting next fall. I'm looking for future students from FLORIDA...anyone out there?! Seems I'm the only one! Excellent advice from fellow nurses. I had only one year of experience as rn in med surg . Was told flat out at interview "u need more experience , get one more year and come back" by team leader. Then here comes the director and I say "what do I have too do to be here? This is all I want to do" so she says "I'm putting u at top of list" a week later I was hired. She said to take fetal monitoring course and NRP. It was the best nursing job I have ever had. Will rerun some day. Please share your experiences and concerns. I'm thinking about whnp degree. Is it hard to find preceptor? To do distance learning? To find a job later? Please help! Hi! I've been a nurse for three years. I've done medsurg, Mother baby and nicu. The only thing I envision myself doing is whnp. It's all I won't to do in nursing. It's my passion. That being said I need lots of info on job opportunities and schools to attend. I found this website before I started nursing school and it was very helpful so now I hope u all can help me gain!Are any of u whnp's in south Florida? I see very few job postings online. How's the market? Salary?. It would be very difficult to relocate anywhere else. Any grads from Fronteir school? How did u find a preceptor? How do u like being a a whnp? What Do u love, like and hate about it?Thank u! I look forward to your response!